Of course, I had to read the sequels after I watched the movie. I read them both over the course of 24 hours without power. I read P. S. I love you mostly with a book lamp in the dark. The only reason I read the sequels was for the relationship between Lara Jean and Peter. That is the stuff of teenage dreams. The second novel had yet another love triangle. There were a lot of cheesey moments including the use of a feisty grandmother character who had a handsome grandson (called that grandson right away). I only cared about the family moments and the Peter ones. Everything else was just ok. The last book in the trilogy felt much longer than the first two. Han dedicated the book to her fans and the book lacked a real plot. It meandered a lot. If I didn’t like Lara Jean and Peter so much, I would have stopped at some point. 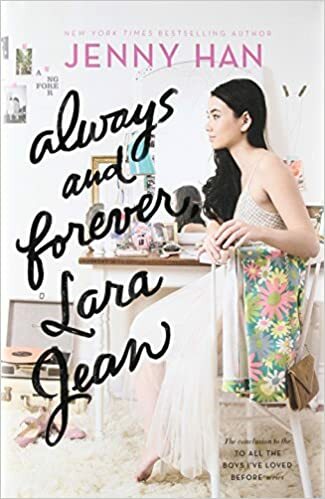 I relate to Lara Jean and we have similar hobbies, but even in this novel, I felt my patience was growing short with her and the author. The conclusion of the novel is just there. 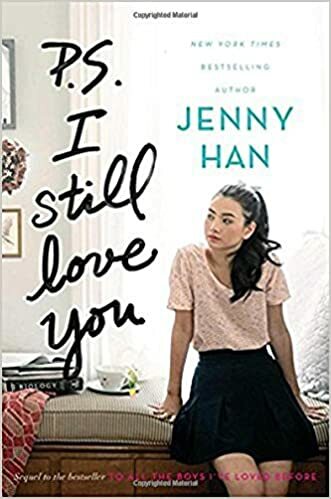 I am glad that Han wrote a third book mostly with Peter and Lara Jean stable; however, the last book felt rudderless. I do hope they make the movies in the sequel if only to see the actors excellent chemistry, but they could really merge the last two books. The third book has no major plot so they can’t make a stand alone movie with it. Read Sept 21 and Sept 22, 2018 respectively.